Pets can lower blood pressure, reduce stress, increase physical activity, and improve social interaction. 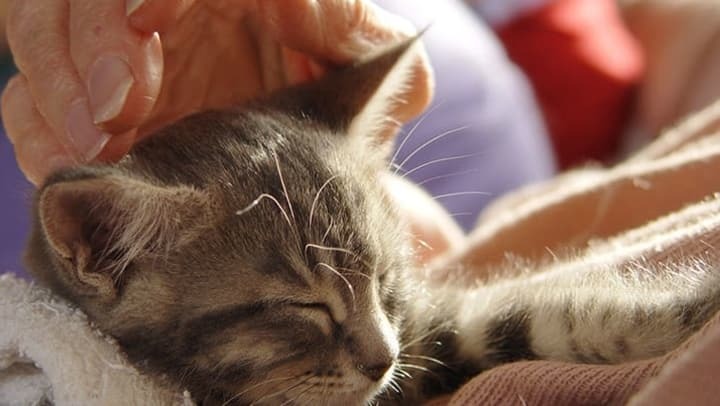 "Older pet owners have often told us how incredibly barren and lonely their lives were without their pet's companionship, even when there were some downsides to owning an active pet," says Linda Anderson, Angel Animals Network founder. Have they had a pet before? It's best if your loved one is an experienced pet owner. Do they have major physical disabilities? If so, it may not be wise to get your loved one a rambunctious pooch. Instead, think about adopting a cat, small dog, or an indoor bird. Is your loved one impaired or infirm? If the answer is yes, a therapy dog might be a good fit for them. Does your aging loved one have financial issues? If there is a problem with money, a puppy might not be a good idea. Instead, maybe fish will work. Is your aging loved one stuck in their ways? If this is the case, you may want to reconsider adopting a pet for them. It's wise to do your research before you adopt a pet for your aging loved one. It's imperative that certain criterion is met before you bring a furry friend into their home.